Traditional tacos one night, taco wantons later in the week! This Leftover Makeover is super simple and it freshens up a meal so that your family might not even realize you are using the same taco meat as the night or two nights previously. These were a hit at our house and would also make a great appetizer for a party. 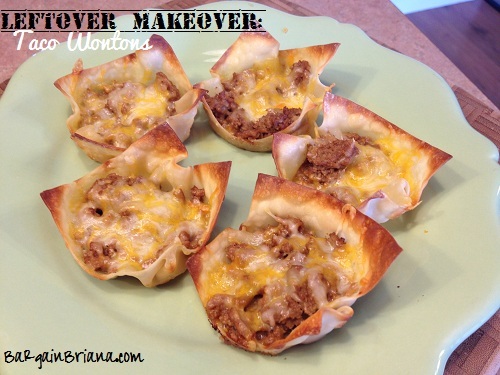 Place wanton wrappers in a greased muffin tin. What do you do with extra taco meat?